Bamboo poles are technically classified as a grass, however once they are cut and dried the material is similar to a soft wood. Bamboo is durable enough to use as flooring, fencing, furniture and in various hobbies and crafts. One task that is often required is splitting the bamboo poles in half lengthwise. Bamboo poles are often used in furniture. Bamboo poles are technically classified as a grass, however once they are cut and dried the material is similar to a soft wood. 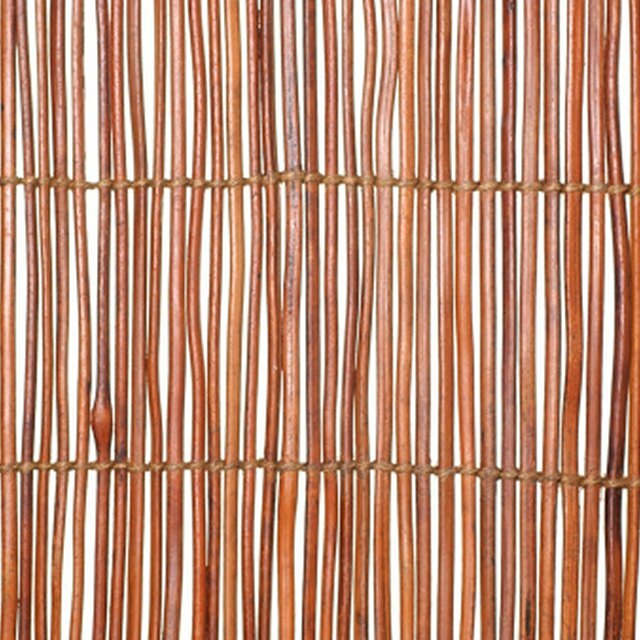 Bamboo is durable enough to use as flooring, fencing, furniture and in various hobbies and crafts. One task that is often required is splitting the bamboo poles in half lengthwise. This allows the bamboo poles to lay flat and requires fewer poles to accomplish a project. Examine both ends of the bamboo pole and determine which end is thinner. Always begin splitting from the thin end of the bamboo pole. Put on work gloves and place the thick end of the bamboo pole against a sturdy, unmovable object, such as the base of a wall or building. Angle the other end of the pole upward until it is between waist and shoulder height. It helps to have another person assist with holding the pole. Grasp the pole firmly in one hand approximately 6 to 12 inches from the end. Place the blade of a bamboo hatchet across the top end of the pole perfectly centered. Set the mallet aside and push the blade down as far as possible. Twist the blade one or two degrees to the side to split the bamboo pole a little further. Continue sliding the blade down and twisting it until the entire pole splits in half. If the bamboo pole already has a split in one end, which occurs naturally during the drying process, insert the hatchet into it to begin the cut. You can also use a machete or any other thick-bladed knife to cut the bamboo poles. If the bamboo pole already has a split in one end, which occurs naturally during the drying process, insert the hatchet into it to begin the cut. You can also use a machete or any other thick-bladed knife to cut the bamboo poles. Guadua Bamboo: How to Split Bamboo?